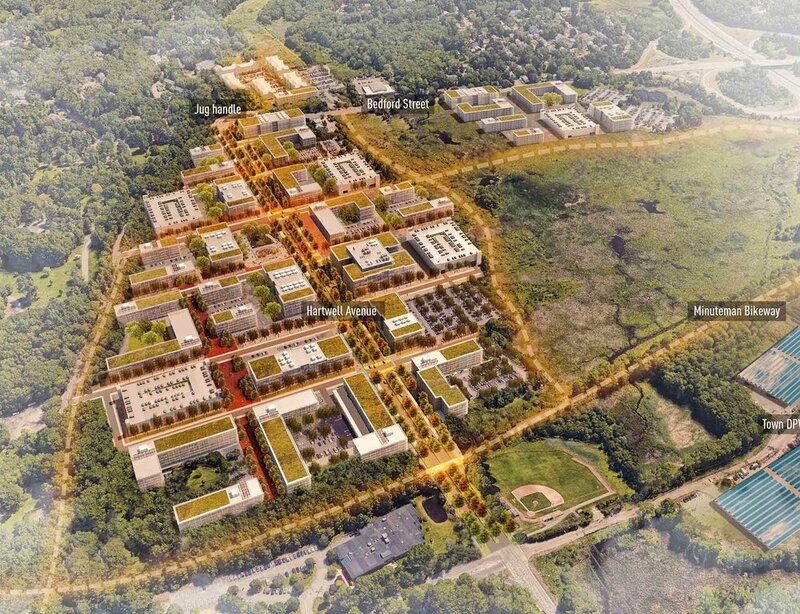 Gamble Associates is an urban design and planning firm based in Cambridge, Massachusetts that focuses on community redevelopment and neighborhood revitalization. Urban redevelopment in American cities is neither easy nor quick. It takes a delicate alignment of goals, power, leadership and sustained advocacy on the part of many. Rebuilding the American City highlights 15 urban design and planning projects in the U.S. that have been catalysts for their downtowns—yet were implemented during the tumultuous start of the 21st century. The book presents five paradigms for redevelopment and a range of perspectives on the complexities, successes and challenges inherent to rebuilding American cities today. Rebuilding the American City is essential reading for practitioners and students in urban design, planning, and public policy looking for diverse models of urban transformation to create resilient urban cores. David Gamble has been highlighted in the APA-MA Chapter Magazine - Winter 2019 publication. Please find the interview by clicking on the link below (p. 17-18). As a member of the the Regional and Urban Design Committee (RUDC) at the American Institute of Architects, David Gambe will host a symposium to discuss the future of urban design education and urban design practice. Many of the challenges we face today as architects transcend the scale of a building. Issues of social equity, environmental degradation, resiliency, mobility and community need creative strategies and design solutions. Both the academy and the profession have a role to play in providing peer, community-based and applied learning opportunities in the field of urban design. Urban design offers an opportunity for architects to both expand their practices and influence beyond the property line to the block, neighborhood, city and regional scale. How can a stronger bridge be built from academia to the profession? What are we teaching and why? This one-day symposium brings together leading educators in urban design programs across the country and the firms that are implementing plans for structured conversations around the intersection of urban design teaching and practice. We are continuing our work for the City of Chelsea! Phase One was drafting Design Guidelines for Broadway and the commercial corridors to help existing business. Phase two entails revisions to the city’s zoning ordinance regulations to address issues that arose in the drafting of the guidelines. David Gamble is presenting Gamble Associates’ Design Guidelines for Andover’s Historic Mill District at the January 2019 MAPD Lunch-n-Learn on January 11, 2019. "From Town Yard to Town Center" will share the story about capitalizing on the unique characteristics of Andover’s historic resources and realize the economic benefits of living and working in a walkable, transit-oriented district. Additional presenters include Paul Materazzo, Director of Community Development and Planning. 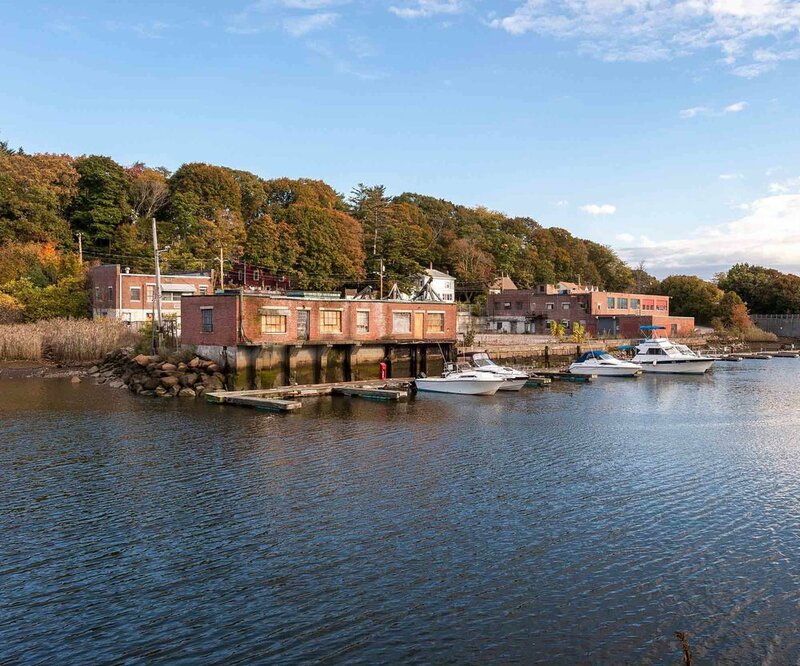 We're excited to be working with City of Norwich, Weston&Sampson, RKG Associates and Onekey on an environmental site assessment and reuse plans for the Ponemah South Mill in Norwich, CT. The North Mill has already been rehabilitated into residential units and is expanding into additional phases. We are excited to continue to work in Andover MA. Gamble Associates is working to re-envision the surface parking lot behind the Old Town Hall downtown and to assist the town in a placemaking strategy for underutilized open spaces. The recent demolition of the Capital Plaza Complex in downtown Frankfort, KY has opened up redevelopment opportunities downtown. Project lead: Louisville-based CityVisions Associates. Click here to see a video link of the demolition! Redevelopment pressures in historic downtown settings place additional pressure on the character and quality of new development. We are working with the Town of Wellesley, MA to update their 1989 Design Guidelines. David Gamble is participating in an American Trails Webinar: Leveraging People and Places: Trails as Economic Development on June 28th at 1pm EST. Additional presenters include Kristin Booker (Booker Design Collaborative) and Chris Schmeising (City of Piqua, OH). David Gamble will be speaking at the Boston Society of Landscape Architects Conference on March 26, 2018. The presentation discusses the rapidly evolving trends with landscape design practice. Challenges to the traditional design firm are coming from many directions. On the one hand, consolidation continues to take place with large corporate conglomerates actively seeking to acquire small and mid-size firms that specialize. At the same time, an entrepreneurial ethic has cultivated niche firms and virtual practices that can compete, in teams, on the global stage. Additional speakers include Christine Dunn (Sasaki Associates) and Cheri Ruane (Weston & Sampson). David Gamble and Patty Heyda will be presenting their research on contemporary urban design and planning at the AIA National Conference. The conference will be held in New York City June 21-23, 2018 in New York City. David Gamble (MAUD ’97) moderated a panel discussion on Saturday, October 14th with graduates from across generations and design programs at the Harvard GSD Alumni weekend. David Gamble was interviewed for the Urban Land Institute’s (ULI) Advisory Services Panel looking at reuse opportunities for Buffalo’s Central Terminal. The effort was in cooperation with the Central Terminal Restoration Corporation, the City of Buffalo and Empire State Development. Brian Gregory of Gamble Associates and Josh Fiala of MAPC have initiated a new committee within the Boston Society of Architects, the INFRA\TECTURE Committee, focusing on the intersection of design, transportation and infrastructure. The inaugural session, hosted in April, explored the implications of the Boston Harbor Barrier as a regional-scale solution to the threat of rising sea levels. The May session, which included former Massachusetts Governor Michael Dukakis, focused on the North-South Rail Link, which seeks to connect Boston’s North and South Stations and create a regional rail network. Click here for more information on the committee and upcoming events. We just finished building a 1/8″ = 1′-0″ scale model of the Lock 9 Park Renaissance Project in Piqua, OH. It took three weeks to finish it’s construction before the model was driven to Ohio. We captured the daily progress on the six foot long model with a time-lapse video. Check it out here! David Gamble and Patty Heyda will be presenting their research on contemporary urban design and planning strategies at the AIA National Conference. The conference will be held in Orlando, FL from April 26-29, 2017 at the Orange County Convention Center. Please visit conferenceonarchitecture.com for more information! David Gamble is participating in a panel discussion at the Boston Society of Landscape Architects Conference February 9, 2017. 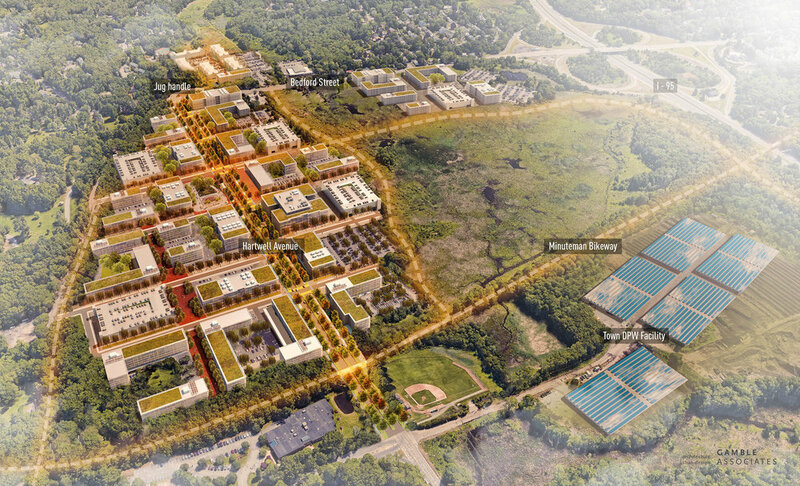 The presentation centers on the transformation of the former Suffolk Downs site in Boston. The site is poised for transformation following the closure of the race track. The work presented is the result of a three-day multi-disciplinary urban design charrette held in April 2016 at the Boston Society of Architects. Additional speakers include Shauna Gilles-Smith (Ground Inc.), Paul Lukez (Paul Lukez Architecture), and Isabel Zempel (Sasaki Associates). Gamble Associates will be part of a panel discussion presenting “Leveraging People and Places” at the 2017 International Trails Symposium. The event takes place May 7-10 in Dayton, Ohio. David Gamble and Patty Heyda will be the keynote speakers at the annual Jones Lang LaSalle (JLL) 2017 Forecast Breakfast in Atlanta, Georgia on February 1, 2017. David and Patty will be discussing current opportunities and challenges in urban design across the US based on their recent book “Rebuilding the American City”. The session is entitled “The Makings of a Great City”. JLL is a Fortune 500 professional services and investment management firm offering specialized real estate services to clients seeking increased value by owning, occupying and investing in real estate. Brian Gregory and David Gamble will be speaking at the 2016 American Institute of Architects (AIAS) FORUM. The annual national conference will be held in Boston from December 28, 2016 to January 2, 2017 with co-hosts Wentworth Institute of Technology and MassArt. David Gamble had a follow-up conversation with Robin Young, co-host of National Public Radio’s Here&Now about innovative revitalization strategies in American downtowns. Talking Cities is a new podcast that “investigates cutting-edge innovations in cities for American and beyond”. Host of the podcast is Matt Enstice, CEO of the Buffalo Niagara Medical Campus. He interviewed David about his recent book “Rebuilding the American City” (co-author Patty Heyda) and the transformations that have occurred on the BNMC since 2001. “T-ing Up: The Future Promise of Boston’s Transit Network,” presented by Brian Gregory, George Thrush, Scott Hamwey, and Jim Aloisi, will analyze the complex interrelationship between public transit and the physical urban fabric of Metro Boston, and explore how potential future changes could dramatically transform the region. “Going to the Races – Suffolk Downs UD Charrette,” presented by David Gamble, Paul Lukez, and Shauna Gillies-Smith, will explore three alternative visions for the rehabilitation and repositioning of the Suffolk Downs site in Revere and Boston. “Mapping Rebuilding the American City” is an exhibit of drawings from 15 cities in the Rebuilding the American City book. The exhibit will be on display in the Carolyn Hewes Toft Gallery beginning in conjunction with the author conversation with David Gamble and Patty Heyda on May 5th, 2016 from 6pm-8pm. The drawings will remain on view until June 15, 2016.